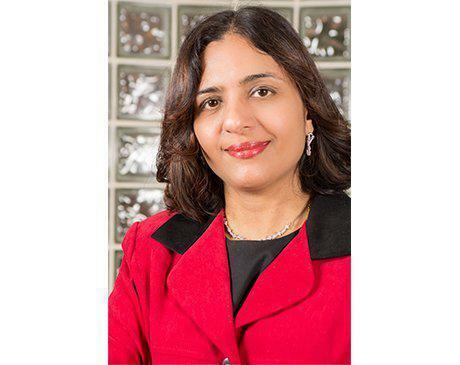 Aparna Chandrasekaran, MD, is a Board Certified Internist with many years of experience and expertise in Primary Care. Her special interest is in screening, treatment of Obesity and establishing a healthy lifestyle for her patients. She has had extensive training in Weight Loss Medicine and also is Board Certified in Obesity Medicine. At Jersey Medical Weight Loss in Somerset, New Jersey she along with her knowledgeable team offer a comprehensive weight loss program for people struggling with weight. She also provides treatment of acute/chronic illness, wellness examination, and vaccination at her office. She’s a certified medical examiner for Commerical Drivers License(CDL). Dr.Chandra also works with other facilities and fitness centers to promote healthy living. She certified in aesthetic procedures like Coolscultping and Kybella injectable to help patients look their best. Dr. Chandrasekaran received her medical degree in 1996 from Dr. M. G. R. Medical University in India. She then moved to the United States where she continued her medical education, obtaining a MD degree in Internal Medicine. Since 2005, she’s been practicing in New Jersey where she’s affiliated with Robert Wood Johnson University Hospital. She is a member of Obesity Medicine Association and is actively involved in spreading awareness about Obesity through her blogs, radio show, and presentations. Her article " Body Mass Index-Is It Reliable Indicator of Obesity" got published in the Journal of Nutrition & Weight Loss in February 2018.